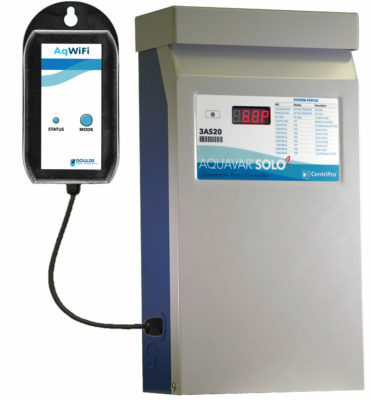 Designed for the Aquavar SOLO2, this remote monitoring system provides continuous monitoring of the well system and relays real-time alerts and notifications to the installer and homeowner. Text and/or email notifications in case of faults with date and time stamps included. AqWiFi app allows dealers or installers to monitor a customer’s drive remotely. Monitor all installations from a single app. Allows the customer the ability to monitor their own equipment via the app. Stores up to one year of system history for easy troubleshooting, including Pressure, Speed, Output Current, Input Voltage and Faults.